We’re more than just fitness – we’re about total health and well being. Intentionally small, our class sizes allow for individual attention so that you can get the most out of every class. Or sign up for one-on-one appointments! 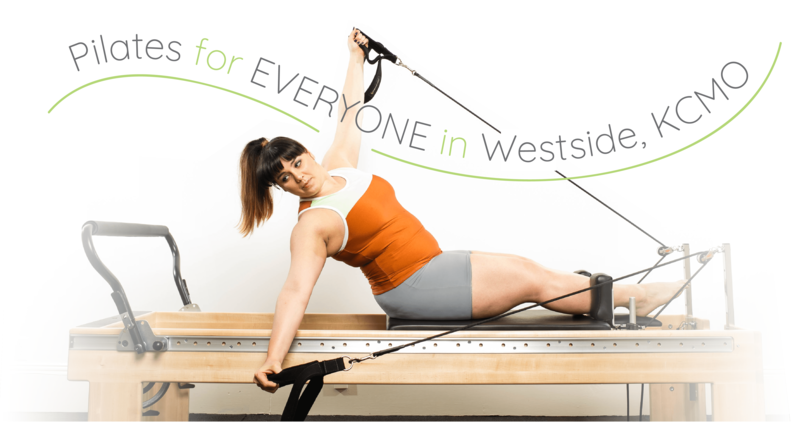 We want everyone who needs Pilates to have access to it. We’re PROUD to be the most affordable Pilates studio in KCMO! Each of our instructors is Pilates certified and more! Check out our instructor bios to learn more about what we specialize in. 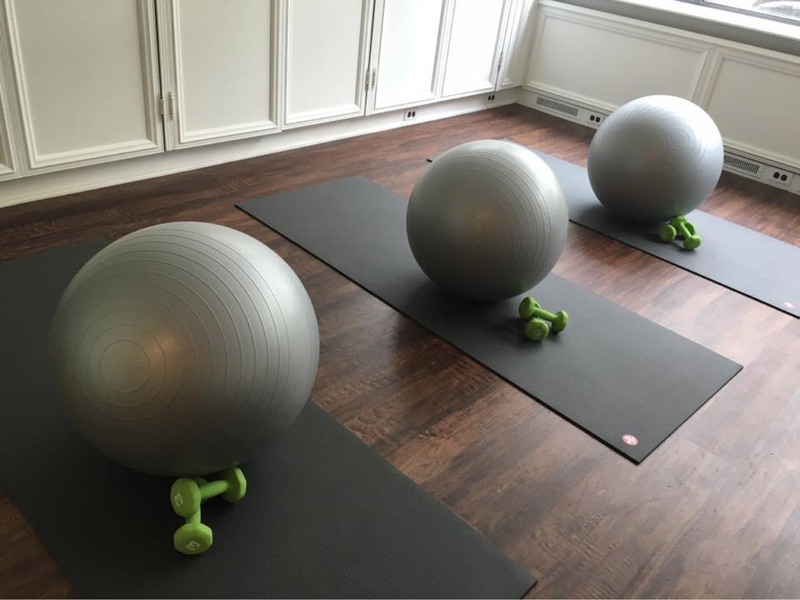 We offer Pilates mat classes and yoga classes (1 hour each) and quick 30 min Pop-In Pilates classes over lunch and after work. Drop-in for one class or purchase a 10 or 15 class card and help yourself commit to a better you! We also offer specialized classes for Pre/Post-Natal Preparation and Repair and Breast Cancer Recovery. Our individual one-on-one sessions focus on an issue unique to you. We work with clients to improve arthritis symptoms, scoliosis, weight management, pre-natal preparation and post-natal repair, post surgery recovery, post physical therapy maintenance, and chronic disease management. Lauren has been teaching pilates and yoga for over 10 years, and is certified through the Center for Women’s Fitness. 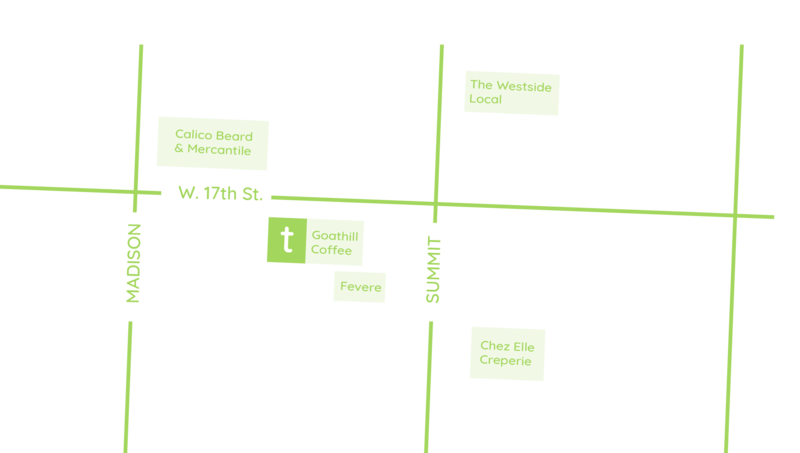 Thrive is the only pilates studio located in downtown KCMO. Drop in for a class or schedule a one-on-one session today! We’ll get you on the road to feeling good, every day. You’ll find us next to Goat Hill Coffee & Soda and around the corner from Fervere – after class snack, anyone?! Pilates can help with everyday movement and increasing flexibility and core strength. It can also tame stress, calm your mind, and help with chronic pain management. How can it do all of these things at once?! Because it is endlessly adaptable to each individual and their needs. Pilates can help you target a problem area, prevent a problem from starting, or just maintain a healthy body. Plus, it just makes you feel good. That’s why all of our instructors starting teaching in the first place! Pilates made them feel good, and that made them want to share it with YOU.